Acclaimed, best-selling Haruki Murakami's debut short novels, newly re-translated and in one English-language volume for the first time--with a new introduction by the author. After almost thirty years out of print, the first major works of fiction by international best-selling author Haruki Murakami--the novellas Pinball, 1973 and Hear the Wind Sing--are finally together in one volume, in all-new English translations. Centering around two young men--an unnamed narrator and his friend and former roommate, the Rat--these short works are powerful, at times surreal, stories of loneliness, obsession, and eroticism. 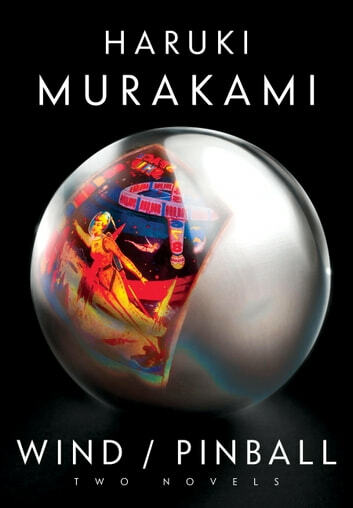 Filled with all the hallmarks of Murakami's later books, they are a fascinating insight into a great author's beginnings, and remarkable works of fiction in their own right. In addition to the new translations, our edition also includes an exclusive essay by Murakami in which he explores and explains his decision to become a writer. Prequels to the much-beloved classics A Wild Sheep Chase and Dance Dance Dance, these early novellas are essential reading for Murakami lovers and contemporary fiction lovers, alike.